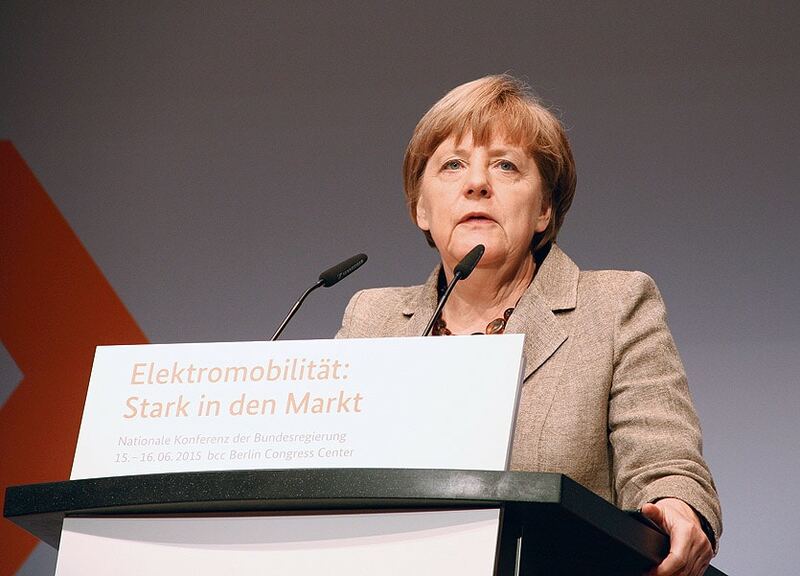 The 3rd National Electric Mobility Conference (NKE) which took place on 15th and 16th June 2015 at the Berlin Congress Center (bcc) was a rendezvous for the leading representatives of the German auto industry. They were all there: the chairmen of the major automakers as well as the directors of the supply companies along with many lobbyists – all of whom were hoping to make direct contact with the political decision-makers. Outside the bcc, six of the 19 models currently available from German auto manufacturers were on display, while inside, “shop windows” and “beacons” advertised electric mobility. The most important event, however, was the back-room meeting on the afternoon of the first day which was attended by Chancellor Merkel. After a brief photo opportunity with the executives from 30 DAX companies (with Merkel joining Kagermann, NPE; Zetsche, Daimler; Winterkorn, VW; Wissmann, VDA), the leading lights of politics and business made their way into a private suite where they discussed both the current position and future of E-mobility behind closed doors. In her subsequent speech, the Chancellor told the packed conference room in clear terms that she would be leaving the event “having learned a lot of new things” during her meeting with the business leaders. She also expressed her view that further discussions would be necessary on additional funding measures, albeit without going into any more detail. She made it clear, however, that “the 95g of CO2 over 100km can only be achieved with electric mobility”. By the end of 2015, the number of electric models manufactured by German auto companies is set to reach 29. So far, approximately 36,000 electric vehicles have been registered in Germany. Federal Minister for Economic Affairs Sigmar Gabriel announced his intention to start an initiative to develop European cell production in the scope of the growth package announced by the President of the European Commission, Jean-Claude Juncker. And Federal Minister for Research Johanna Wanka explained that in this regard, in addition to the Batterie 2020 Research Program which has received 60 million Euros in funding, she wishes to initiate the joint GIGA-LIB project, which will involve the promotion of battery cell production in Germany. In this context, Daimler has been on the receiving end of a substantial level of criticism for its decision to close its battery cell factory again. Dr. Dieter Zetsche tried to explain that with its duty to respond to its shareholders, his company was not able to act in the same way as a start-up like Tesla, which had accepted losses over the course of many years. Making reference to the criticism of the insufficient charging infrastructure in Germany, Federal Transport Minister Alexander Dobrindt announced his intention to equip all 400 freeway rest areas in Germany with charging stations. He made the following comments: “we want to bring about a stronger degree of dynamism so that electric mobility isn’t just something special, but the general standard.” He underlined his claim by mentioning that due to the support provided by State Secretary Rainer Bomba, in his ministry, the proportion of E-autos is set to achieve 50% next year.